Home ABOUT ETHANOL FIREPLACES Do bio fireplaces have the capability of accumulating heat? Do bio fireplaces have the capability of accumulating heat? A common accusation of the users against the bioethanol fireplaces is the lack of heat accumulation, so they are treated only as decorative elements. 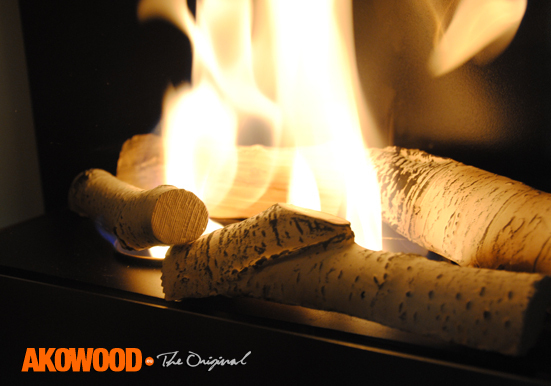 Are the pretensions justified?Traditional fireplaces for wood or coal, are made of fire resistant materials, which accumulate heat from the lighting burner, and even after they extinguish the heat is given off to the interior. In the case of bio fires, whose housings are usually made entirely of steel, there is no other material which would accumulate heat and give it off to the interior after the fire extinguishes. Burner heats up quickly when ignited, but it also cools very quickly after extinguishing. A bottom line of the problem here is not what is burning, but in what it is burning. If we built in the bioethanol fireplace into the housing on a traditional fireplace, we can be sure that the entire structure will have equally good properties as a traditional fireplace. Everything depends on the material which the bioethanol fireplace is made of. If it is steel, it will quickly heat up, but also calm down quickly, and when the bio fire housing is made ​​of brick, which has accumulative characteristics and after extinguishing the burner it will heat the interior for a long period of time. So if heat accumulation is a top priority for us, we should simply choose a bioethanol fireplace which was designed precisely with this in mind and using the materials with such properties. However, if we have completely steel bioethanol fireplace, we can increase the heat accumulation using the appropriate accessories. They include stones and ceramic logs. These materials arranged around the burner ideally accumulate the heat, heat up while burning, and give up the heat to the interior after the burner extinguishing. Next articleIs bio fireplace suitable for heating the interior?